Roll-off dumpster. Renting a roll-off dumpster saves you time. Renting a roll-off dumpster can definitely save you time when you have a job to finish. We already know how time consuming a home remodeling project can be. The last thing you want to worry about when you’re in the middle of a project is not being able to move forward with your plans because of debris in the way. – Bags are a waste of time. Chances are whatever heavy-duty bag you purchased will not be durable enough to hold the material from a renovation. Some people end up hauling these bags themselves to the landfill in the back of the truck. This will mostly likely take multiple trips that will take you away from the job at hand. Overflow bags are not too expensive, but when you need a large number of bags it becomes a hassle opening bag after bag. If you are able to position the roll-off dumpster nearby or even close to the window, you will save a great amount of time. – Roll-off dumpsters are the fastest way to clear out a space while you are working. It’s important and a lot safer to get as much old material out of the way when renovating. Not having the appropriate means to dispose of the demo on a job site will inevitably hold up the progress. – Your local trash pick up may reject or charge extra to get rid of the renovation buildup that is sitting on your curb. – Safety is top priority. Chances are you prefer sharp objects, nails, and heavy material out of reach and not sticking out of a plastic bag. 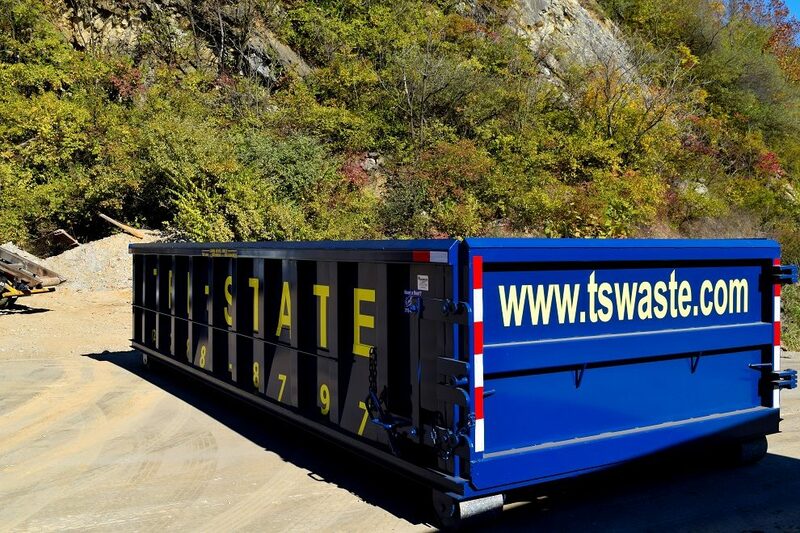 A roll-off dumpster is the safest way to keep these materials out of harms way. Thinking about renting a roll-off dumpster? Give us a call today and one of our representatives will be happy to guide you through the process.